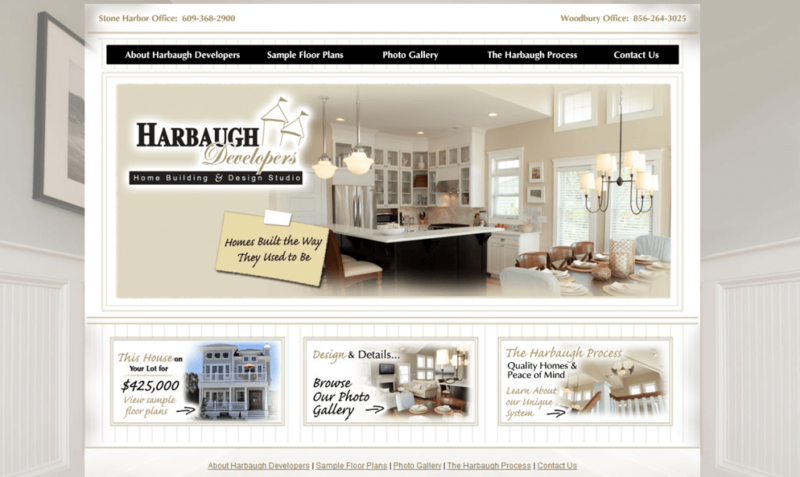 We’re pleased to announce the launch of Harbaugh Developer’s new website. 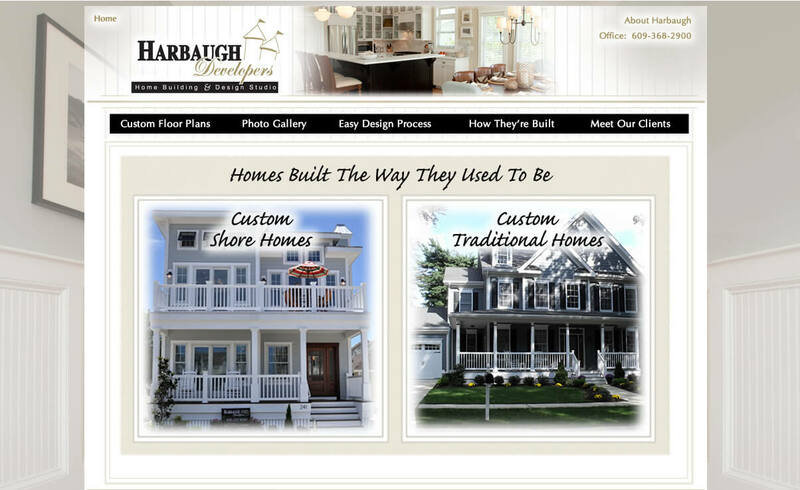 (Visit Harbaugh Developer’s New Website Here) Harbaugh Developers is known for their attention to detail and amazing quality; they needed a website that reflected that. The new site features a cutting edge photo gallery with large beautiful photos, updated floorplans and a relaxed cottage feel, just like the homes they build. One click onto the new website for Harbaugh Developers and it’s obvious that they produce some of the best work in their field. They pride themselves on the phrase, ‘Homes built the way they used to be.’ Designed and constructed for the client’s individual needs and desires, they bring their dreams to life. Harbaugh Developers have an unparalleled attention to detail and it shows throughout their designs. A screen shot of the new Harbaugh Developer’s website.